NEW YORK (AP) — Russell Westbrook moved past Oscar Robertson and kept right on going to the top of the NBA. 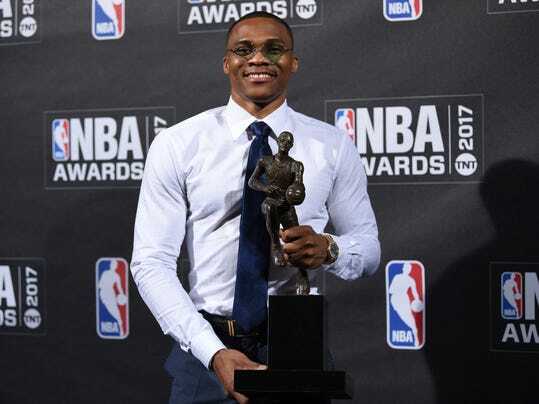 Westbrook was voted MVP on Monday night after setting a record with 42 triple-doubles during his historic season. He led the league with 31.6 points and added 10.7 rebounds and 10.4 assists per game, joining Robertson as the only players to average a triple-double for the season and breaking Robertson’s single-season record of 41 triple-doubles in 1961-62.